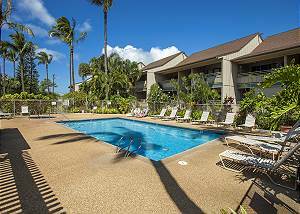 Located on Maui's beautiful south shore, this affordable condo complex is sure to impress. 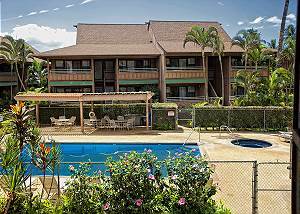 It is centrally located in the neighborhood of North Kihei right off South Kihei Road. 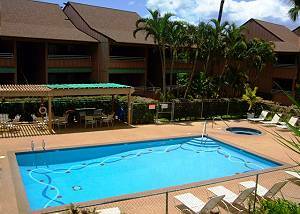 Kihei Bay Vista Resort is situated across from the beach, specifically the Kalepolepo Beach Park. It is also near shopping and plenty of activities including, the National Marine Humpback Sanctuary, as well as snorkeling, paddle boarding, and surfing. From the Kalepolepo Beach Park, Humpback Whales, as well as Hawaiian Green Sea Turtle viewings are common. Sea Turtles have also been known to nest in the area! 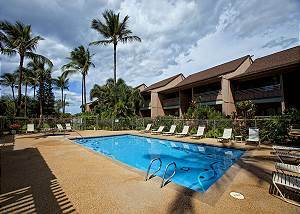 There is always something to do in Kihei, and your vacation rental location at Kihei Bay Vista condos lends itself to making the most of Maui. Lush green grass and tall striking palm trees make up much of Kihei Bay Vista's grounds. 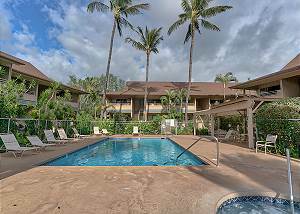 This Maui hotel complex's amenities are so comfortable you won't want to leave the condominium, but if you do, there are plenty of attractions in the area to please anyone from the single traveler to a family. 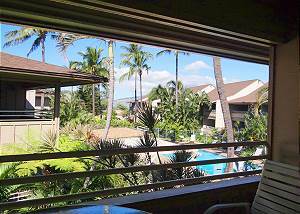 Kihei Bay Vista has everything you are looking for in a vacation spot and more! After a day on the sandy beach, you'll love cooling off in the stunning pool and relaxing in the whirlpool spa. With the adjacent barbecue area, you can grill as the sun sets over the property's tropical landscaping. Being surrounded by such striking tropical landscaping highlights the natural Hawaiian environment. As all condo rental units have private lanais, bring your grilled goods upstairs and enjoy the meal from the seclusion of your lanai. Each Kihei vacation rental unit also boasts a full kitchen for bringing meals to life to share with family and friends. One bedroom spacious accommodations will become your home away from home. Each hotel unit is outfitted dutifully and stylishly. You will adore this peaceful property. 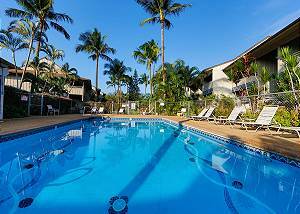 After one vacation at Kihei Bay Vista Resort, you will want to come back and visit every year! 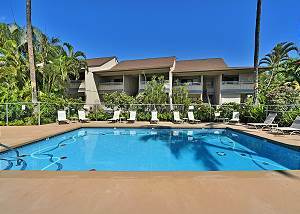 So come stay and enjoy this quiet yet refined complex on an unforgettable Hawaiian vacation!